Welcome to Walnut Grove United Methodist Church! Our historic church is located in the growing community of Roebuck, S.C., just south of Spartanburg. Refuel and refocus your life on Christ at our weekly Sunday services, or participate in community outreach opportunities and missions. At Walnut Grove UMC, we believe faith in Jesus Christ is rooted in love, laughter and praise. We invite you to join us on our faithful journey. Pay us a visit and see for yourself the love of Christ reflected in the WGUMC church family. To find out what's going on at Walnut Grove download our church calendar or our newsletter. As Christians, United Methodists believe in the Trinity - God the Father, the Son and the Holy Spirit - and we follow the divine Word written in The Bible's Old and New Testaments. Born sinners, we are forgiven through our acceptance of Jesus Christ as our savior, who lived and died for us, and will come again. The United Methodist Church was founded upon the spiritual teachings of John Wesley, who emphasized Christian living, putting faith and love into action in our daily lives. We understand the power of God's grace, which allows us, by our faith, to have eternal life. As members of the United Methodist Church, we promise to actively participate in this faith by freely giving of our prayers, presence, gifts, service and witness. We strive to continuously nurture our own hearts and minds so that we may grow in our faith. 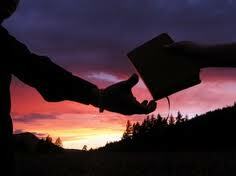 But, as true Disciples, we must use the gifts God has given us to live lives of mission and service to others. For more information about the beliefs of the United Methodist Church, visit www.umc.org. 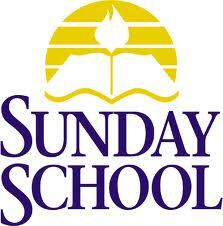 unday school begins at 9:45 a.m. with a short fellowship gathering. Classes begain at 10:00a.m. for all age levels. A nursery is provided. We provide adults with an option for traditional Methodist Bible study, or a more discussion-oriented sytle of study. We also offer a class for young married couples. The pastor makes regular opportunities for Bible study and/or prayer time. A prayer chain is organized to support members who have a special prayer needs that arise. 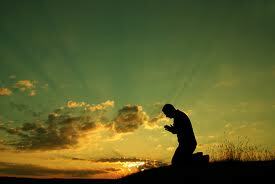 If you or someone you know is need of prayer submit a prayer request via e-mail, or contact or church office. 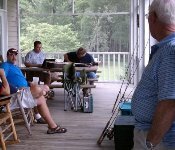 The United Methodist Men (UMM) group meets the second Tuesday of the month at 6:30 p.m. Dinner is usually served, and time is taken for devotion, fellowship and planning for service events. If you are interested in more information about UMM, contact our church office. The United Methodist Woment (UMW) group meets the second Tuesday of each month. Special programs are shared and events are planned to suppport their missions emphasis. Vacation Bible school is held annually, traditionally in June or July. Shut-ins are visited routinely, usually under direction of the UMW. A bereavement plan is in place to minister to members who have lost loved ones. Through witness, we show the power of God's love. When we join the Methodist Church, we promise to uphold the church with our prayers, our presence, our gifts, our service and our witness. We rely on each church member to do their part in witnessing daily, not just on Sunday. Many of the things we do in the Outreach area overlap into the Witness area. Through outreach projects, we are able to witness to others. - Members create shawls and/or other hand crafted items through a Prayer Shawl Ministry. Items are presented along with prayers to designated individuals. - Adopt A Highway volunteers from the congregations sweep the highway collecting trash regulary. Volunteers must be registered with our team and equipped with safety vests in order to participate. - Homemade cookies are taken to any visiting family who registers their address in our attendance register on any Sunday morning. - Members of our congregation are parternering with Saluda Baptist church for our second mission trip to Nicaragua in July '13. Reaching out to our community, we seek to touch the lives of our friends and neighbors. We have a Mission Emphasis Team that explores possibilities for our congregation. Our most extensive mission project is Child Development Ministries which offers Christian day care and preschool for local families at reasonable cost. We also sponsor a Girls Scout troop. For the last two years we have supported our pastor and his wife in their leadership of Salkehatchie camp in Chester, S.C., and expect to soon form a local team. We also sponsor a multitude of single projects to help with special needs in the community. - The Diabetic Support Group meets the first Sunday of each month at 4 p.m. at the church. - Movie nights are routinely held with nursery provided. Snacks are also provided and discussion of the chosen movie follows the viewing. The purpose of the Walnut Grove United Methodist Church Child Development Ministry, including the Daycare, Preschool and After School Programs, is to nurture and give quality care to the children of the church and community. We are fully certified by the SC Department of Social Services, and comply in all areas. The Preschool Program is particularly concerned with the development of the child as a well-rounded person ready to enter kindergarten. The curriculum focuses on readiness skills, fine motor skills and gross motor skills as well as social, emotional and spiritual development. The program is based on a hands-on approach with group and direct teacher instruction, individual evaluation, and consultation with parents. The children will be provided with a loving environment and structured routine. A variety of exciting activities will be offered for enrichment and play. Also parts of this Christian program are learning morals and manners, encouraging creativity, and nurturing Christian values. For list of upcoming events this month check out our calendar. Want to see whats going on at Walnut Grove UMC? Download a copy of this month's newsletter. Have an idea of a program or ministry that can benefit the members of our congregation? Download a Council On Ministry worksheet and share your ideas. If you or someone you know is in need of prayer please fill out the form below to submit a prayer request. God listens to all prayers. Let the congregation of Walnut Grove help pray for these individuals in their time of need. In the message box make note of the person(s)'s name in need of prayer as well as any other information regarding the request such as time frame or a specific need.